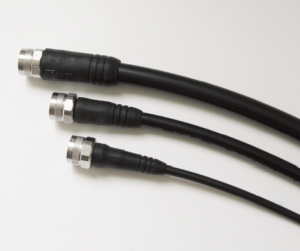 Times Microwave © range of WSB™ weather seal strain relief boots work with the most popular EZ crimp connectors for LMR-240, 400 and 600. The soft silicone boot weatherproofing kits replace older weatherproofing methods, require no heat and only simple and easy hand assembly for valuable time-saving in the field. The WSB™ weather seal strain relief boots are IP67 rated and both RoHS and REACH Compliant. Supplied in a convenient 10 pack, the WSB™ kits contain four pouches of silicone lubricant to facilitate installation of the boots.